Whenever I’m feeling uninspired in the arts and crafts department, I usually just need to get a little more organized, and dig through my supplies to get a creative jolt. That’s just what I did this week, and in my need of some purging and cleaning, I cam across some old craft supplies that were begging to be used. 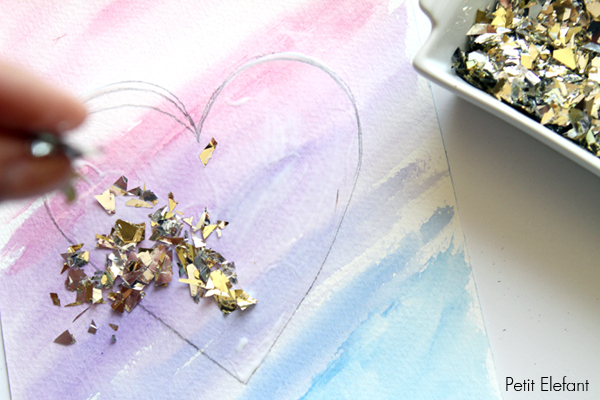 My watercolors and this fab gold confetti inspired some last-minute Easter decor, and this cute heart art project. 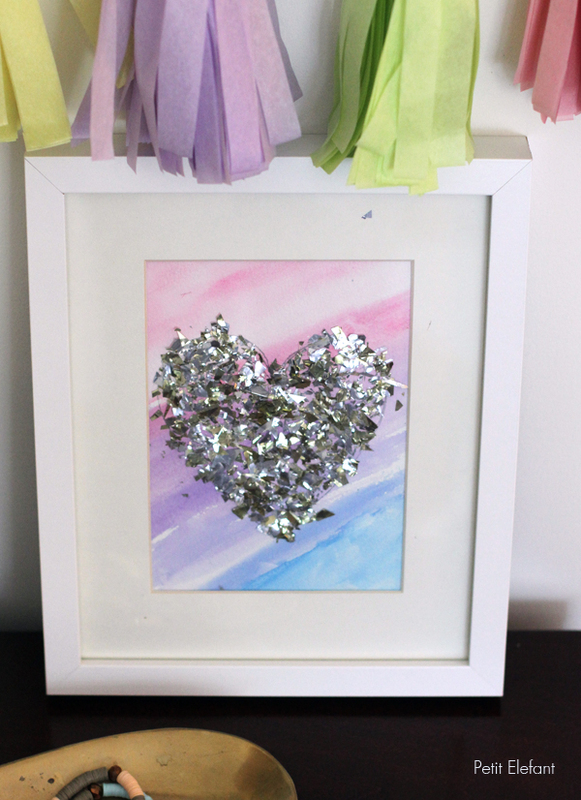 I think it’s perfect to hang in a young girl’s room, or to give as a Mother’s Day gift. 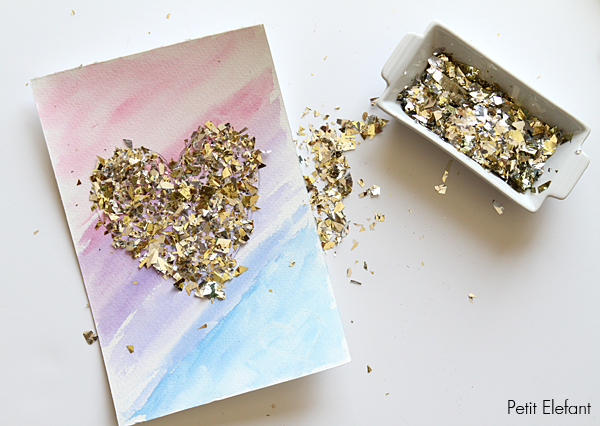 Whatever the case may be, this gold confetti art project is easy to recreate, and you can easily get young kids involved with the painting and gluing. 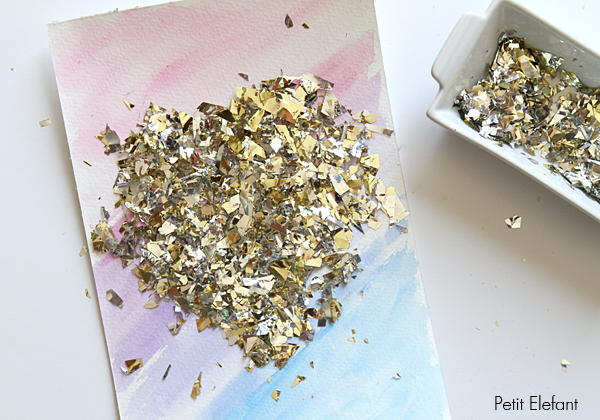 Here’s how to make your own watercolor and gold confetti masterpiece. Begin by gathering what you’ll need. 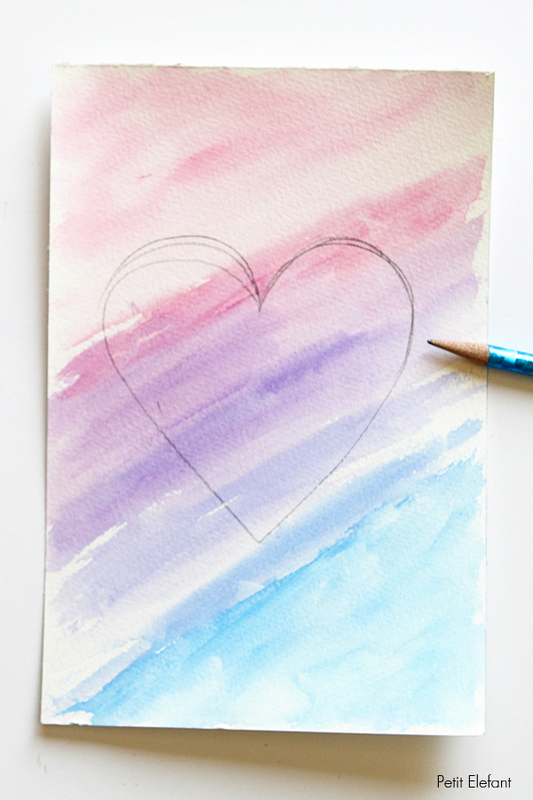 Frame if you’d like to frame your artwork Begin by making some pretty watercolor art, in whichever color pattern your heart desires. 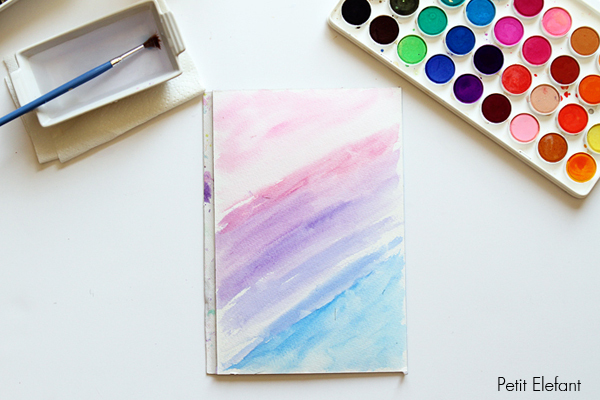 Watercolors are very easy to work with if you’re just making abstract pretty art, and you can read how to work with the medium in this post I wrote on my site last year. Make sure to let your watercolor dry completely, or else the Mod Podge will mess up your pretty colors. 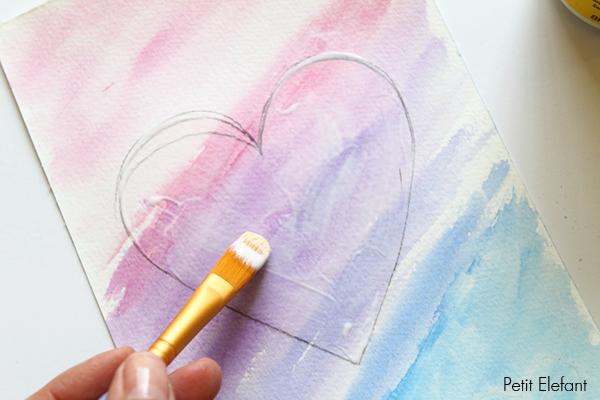 Draw some sort of bold graphic shape, like a heart, a diamond, triangle or circles. Just make sure not to draw something intricate, as the large gold confetti will just make it look like a blob, which is no good for artwork. Now fill in your shape with a nice layer of Mod Podge, not too thick but not too light either. You want to have enough on there for the confetti to stick to. 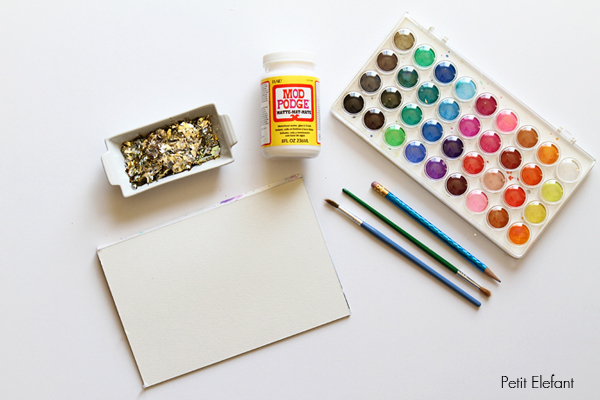 Then begin sprinkling your confetti on your watercolor shape. You can gently smash the confetti into the Mod Podge to ensure it’s nicely in place, and then shake off the excess confetti. You’re left with a gorgeous and simple piece of art that makes a statement without being overpowering, and is perfectly suited for a variety of design aesthetics and occasions. I personally want to make a whole bunch of these for girlfriend’s on their birthdays, or for my sister on Mother’s Day. They are pretty just hung with some washi tape, or of course look more formal when framed and hung. Either way, you can’t go wrong with this easy project. Great DIY idea to try out for busy mothers. 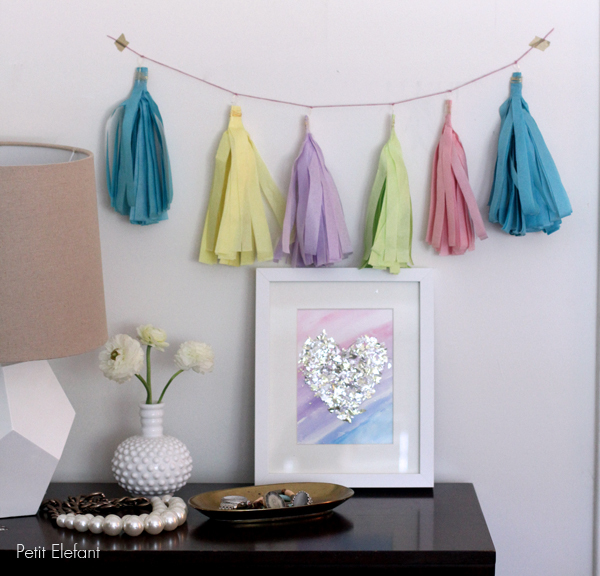 Please share more easy and beautiful DIY craft ideas for us.